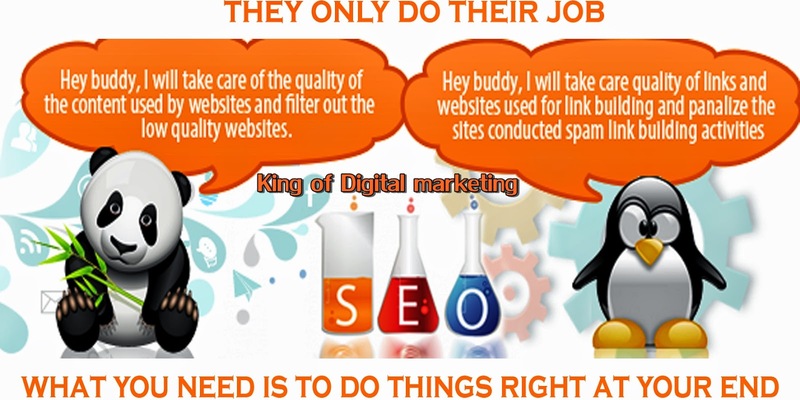 SEO Important Questions answers, These are some questions asked in interview of SEO(Search Engine Optimization) for Experienced or Fresher. 1. Why is the Title so important in SEO? Ans: Title is the main part of any web site that provides a way to use the element to display the title. Title of the web site is the element that is used for the search engines and its positioning in it. Title is usually placed in the tag of the HTML and it describes the main title of the website and its purpose. It is a descriptive word in Title is a way to describe the website’s aim and it is being shown on the web browsers title bar. 12-15 words and describes the nature of the title that can be optimized according to the search engines. 2. What is the purpose of keyword in SEO? Ans: - Keyword is a word or group of words that makes a phrase that is being typed by the person in search box of the search engine. These keywords are used by search engines to populate the subjects over the Internet and search results are populated according to that. Search engines stores the keywords in the database for the web sites and when the search is being it picks the most matched word from the database. The words can be found out or placed in the order for the web site that displays them in order of preference. Keywords are also written in the Meta tag that is placed in tag and it describes the website. 3. What is the function of body content relevance? Ans: -Body content relevance is used for the text that doesn’t consist of images on the web page of the web site. It is also known as non-image text that provides the description and relates it to the title, description and keywords. The body content helps you having the higher ranking in the search engines and allows good optimization of the sites and pages. Body content allows the use of many statements and elements to be used to display it on the web front. Body content is used to have the relevance of using the tags that focuses on more on increasing the popularity. 4. How does the submission process work? Ans: Submission programs are used to send the data of the web site address to the server to request to display it. Submission programs have the “URL” to search engines that allows the links used to refer to the URL strings. Engines use many techniques to parse the URL using the spider through the HTML code and looks for particular tags.The tags that are searched for uses <a href= “”> and this consists of the link to which the pointer is pointing to. The parsing of the entire page is being done by using the small Web BOT that travels through the link and find more searching for links.The links uses the same procedure of all the pages at URL address when it is found on the search engines. 5. When do the Submission appear on the engines? Ans: Engine and the directory structure for the website are different and it allows the submission to be done using the engine only. The submission can take time or it is required to have the instances of the web site to be listed on the search engines. Submission can only appear on the engines if it is submitted correctly and it provides better visibility of the request. The engines can be added according to the submissions that are taking place and the calculative chances with the sources. The engines and directories are put in a queue and add the chance to check the site for the content that is being used. 6. What is the use of a program in SEO related information? Ans: The program receives the information using the search request and then it compares the entry with the index and according to that show the results. Program allows the search engine to use a structured directory that includes the topics and allow the search engine to crawl the data from the web. Program allows the web portal sites to offer the search engines and directories that find the information and make it accessible to all. It includes the basic components and features essential for the users to be used for the better optimization of the search engines. The components work together to provide the information for the search engine to perform better. 7. What are the basic actions that can be performed on search engines? Ans: Search engines use basic components and features to make the result easier for the users. Gathering of information is being done by the spiders that gather the information and list it down for the crawling by the search engines. Analyze the information includes the analyzing of the search engine techniques and the way it is being analyzed with respect to other users. Display information includes the result that needs to be displayed to the user and in right way. 8. What are the ways in which spiders can find the web site? Ans: Spiders are the information gathering tools that allow the bot to collect the information about the web sites on the Internet. The programs that are used provide gathering of the content from the web site and the store for processing of the data. There are two ways in which spiders can perform the search function on the website and it is as follows: Search engine can be allowed to find the website that is being created directly by the use of Meta keywords or data. It can also tell the search engine the information about the website and use the related data to provide to let your site appear on the search engines. 9. What is the function of Organic search engine optimization? Ans: Organic search engine optimization provides the services that allow the inclusion of knowledge as well as information of the websites to be used. Organic search engine results in effective services that can be get on the monthly basis or pay per click basis. Pages included in the organic field provide the input to the search engine and make the searches easier for user’s to find out. These search engine optimization techniques are used to organically create the content and the data. After the creation the data can be put in SEO for other sites to know more about it. This provides good services and search positions. 10. What are the tools used in organic search engine optimization? Ans: Organic search engine optimization provides a way to display the website that is fully optimized in the search engine. It includes the traffic and the search results that include the body of the search to be search engine friendly. The results that are used for organic search engine provide the site relevance to the keywords phrase that is being queried. Search engines uses lots of ways to use the users either in a sponsored way or paid listing way. The organic listing is very relevant to the work that the search phrase provides as it allows only the important keyword to be included in the search engine’s index. The data is extremely helpful and genuinely motivating.I cherish this sort of blogs.I might want to allude one more blog which really roused me that is Sean Hughes' Leadlife blog.It's extraordinary compared to other way of life web journals. i like this lovely blog thank you for giving. Thanks for sharing this information. It is a great information.